After almost 500 miles through wind, snow and heat, we still smile! Been back from vacation for nearly two weeks. My weight is coming down and I’ve received invitations to two of my three big rides for the season. I’m so excited, I just want to get out and hammer!! But I shouldn’t. After a season dogged by knee pain, I’ve realized a few more easy rides would not be that bad for me. For the last 18 months or so, it’s been all hammer all the time! While that’s great for the cardio system and a great deal of fun, it can lead to over-use problems. I’m in good shape and have at least three months to my first organized event. Now might be a good time to back off the intensity, just a bit, until the knees feel better. If you are having these issues, I suggest the same. Also, spend some quality time with a foam roller, massage ball or if you can afford it, massage therapist. Sometimes the problem has to do with the sliding tissues in the front of the legs adhering to each other, creating uncomfortable conditions, including the pulling of the knee cap into the joint. Also, this is the best time of year to have that bike fit re-assessed. Find a reputable dealer and fitter and spend the money. It will result in long-term savings as you won’t have to spend as much on doctors, PT’s and pharmacists. Those long, ambitious rides will be more comfortable. I was grinding up from State Bridge, Colorado, last season, during day four of Ride the Rockies and was considering the sag wagon. Luckily, my fitter from Boulder’s SportsGarage happened to be on course and made a small but pain-relieving adjustment that allowed me to finish the day, as well as the next two. Get it done ahead of time and it won’t throw doubt and pain into your favorite rides and tours. For more ideas, go to Mobility WOD for more instruction as to keeping the knees happy and healthy. You can also pick up Dr. Kelly Starrett’s “Becoming a Supple Leopard” to have a reference on hand. The book helps athletes take care of a wide range of movement issues, making for happy muscles and joints. The Santos Tour Down Under begins next week, kicking off the Pro Cycling season. The best news out of this may by all about the women. Many of the big World Tour events are adding women’s events to the line up. The Amgen Tour of California, The USA Pro Cycling Challenge and the biggie, The Tour de France will add women’s events this year. Last year’s women’s event on the final day of the men’s race proved so popular that more stages have been added. This is the best thing to happen to women’s cycling in a long time, and hopefully will continue. On the personal side, friends of mine invited me to ride the Triple Bypass with them. If you don’t already know, the Triple Bypass is a bucket-list sort of ride. It is 120 miles over three big mountain passes from Evergreen, Colo. to Avon. For the truly hard-core, the organizers, Team Evergreen, added a second day: the same route, only backward! I will save that for another year. The wonderful Liz Brown of Ride the Rockies contacted me this week, so I will once again, be riding this week-long tour of the Colorado high country. RTR is not the toughest, but is the oldest and most popular of the Colorado tours. RTR celebrates its 30th ride through the mountains and will announce the route at a party in Downtown Denver on Saturday, February 7. If you want to find out early, go to http://ridetherockies.com/. The route announcement party runs $40 dollars on line, $50 at the door. It’s a great time and I plan to record a good bit of it for a future post. So get out and ride. Bundle up or spend some quality time with your trainer. The season will be upon us before you know it. It is clearly cycling season, even at altitude. At the middle of May, one grand tour is snaking across Italy, one smaller tour is heading up the state of California and we are four weeks from the start of Ride the Rockies. But wait . . . there’s more. 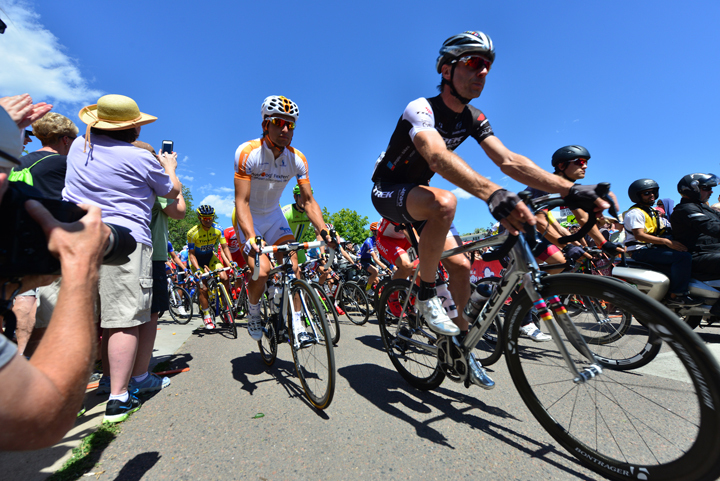 The town of Estes Park is gearing up for its moment in the international cycling spotlight. 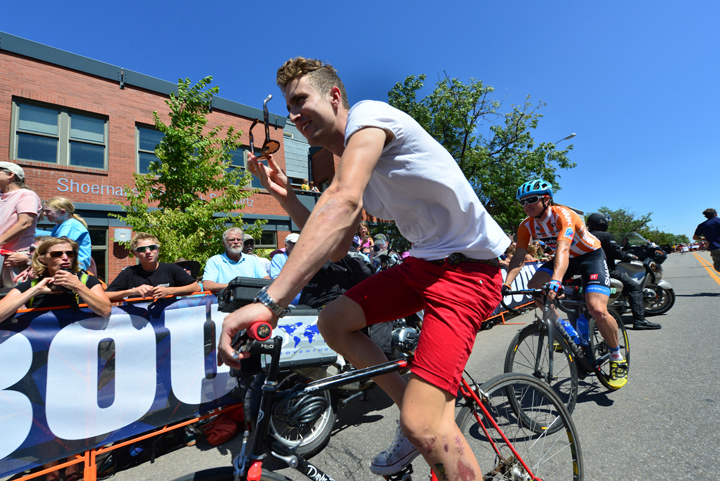 With riders like Cadel Evans from Australia, Peter Sagan from Slovakia, Andy Schleck from Luxembourg and the Garmin-Sharp team from just down the hill in Boulder, it is very much an international event. Fans and reporters from around the world will likely show up, as well. Estes Park, as a whole, needs to get involved to show the world that we are a place to visit. Bo Winslow, the town’s Community Services Director, has put out a call for volunteers. The town needs course marshals, idea people to help with related events in town the day of the race, as well as vendors to keep the visitors in Estes with food, gifts and the like. If you think you want to help, contact Bo at 586-6104 or e-mail events@estes.org. I have heard there are detractors who point to flopping rock shows as a reason that we should not care. To that I say, the bands who have come for those shows have not been top acts since I was in elementary school in the ’70s. The guys who will be blowing through town on August 24 will be the very best riders on earth right now. These are the best of the best. These guys are faster and fitter than anyone you personally know. These guys competed for medals in the Olympics and will be here preparing for the World Road and Time Trial Championships. In cycling, if you’re not in France in July, it really does not get any better than this. To get an idea of what we are in for, tune in to the Amgen Tour of California, going on this week. Folks are lining the race route, especially on the climbs and in towns, two things we have going for us. We will see the end of a race within the race as the last King of the Mountains points will be collected at the top of the Glen Haven switchbacks. The one thing we will have that the California race doesn’t is that many people will still be on summer vacation when the Pro Cycling Challenge comes through. And, because it will be a Saturday, and with our proximity to our major population centers, we could see a crowd matched only by the Scot Fest, except they will all funnel into downtown. This is a chance to show a global audience all of what Estes Park has to offer. There will be another, slower but no less enthusiastic group pedaling through Estes Park 19 days ahead of the pros. I will be riding the Colorado Rocky Mountain Bike Tour through here on August 4-5. 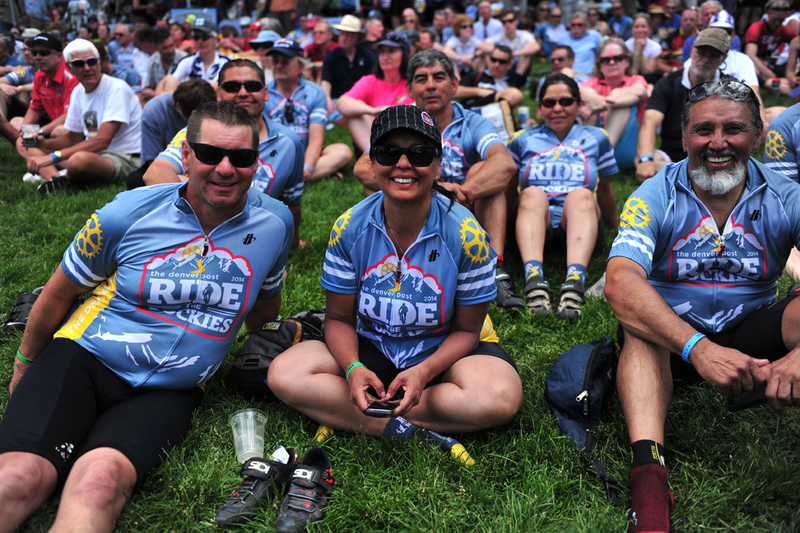 It is the opening day of the ride that loops beginning in Fort Collins and visits EP, Golden, Fraser, Steamboat Springs, Walden and back to Fort Collins. This makes a whole summer of fun for me. The CRMBT is like Ride the Rockies, only smaller and tougher. While RTR allows 2,000, or so, riders, CRMBT allows only 500. The rout tends to be more challenging, as well. While the toughest day in the saddle for RTR will be Day 4, when we ride over 10,850 foot Wolf Creek Pass, the third day of the CRMBT starts in Golden, climbs Lookout Mountain, ride to Evergreen to climb Juniper Pass, plunges into Idaho Springs, slogs to the base , then climbs Berthoud Pass before finishing in Fraser. Three big climbs over 85 miles. Riders are even invited to ride the Mount Evans Road, if they feel so motivated. Tour director Peter Duffy explains that it is a tour for a more dedicated crowd. I start my organized riding season this Saturday with the First Ascent Ride, a fund raiser for Livestrong. It is a metric century, starting and ending in Golden, starting with a climb of the Golden Gate Canyon, a road that pitched up to 14 percent in sections, then follows the Peak to Peak highway before descending Coal Creek Canyon and returning to Golden. The ride features several members of the 7-Eleven cycling team, as well. It should be a great morning of riding. If you find your Saturday morning open, check the First Ascent Ride website and head down to Golden early. The ride begins at 7:30. This image is from the USAPCC web site. Back when the great Eddie Merckx won his legendary 525 races, cyclists often rode everything. They rode the Spring Classics, the Grand Tours, the World Championships and the “Tour of the Falling Leaves”. Starting in the late ’90s, this began to change. While Merckx won the Giro five times, the Tour five times, the Vuelta a Espana twice, he even won the Giro d’Italia and Tour de France in the same season more than once. This has not been done since 1998 and not attempted more than a handful of times in the last 15 years. This is not all bad, especially for American cycling fans. While for nearly a century, pink has been the color of May on the international cycling calendar, yellow and grizzly bear graphics have made their way in. The three-week tour of Italy had been the natural lead-in for the Tour de France, in the era of specialization and growing prominence of France’s big tour, the Tour of California has become a big race for more than Americans. This was helped in no small part by the moving of the race from February to May in 2010 after two abysmal weather years. Since the move, the biggest teams and racers have made the move to the Golden State. The Tour of California is “only” a one-week race, this year beginning near San Diego on Sunday, May 12, and heading north for the first time, finishing in Santa Rosa on May 19. 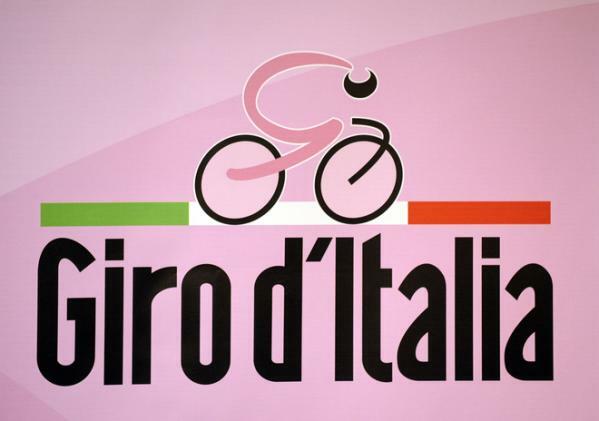 The Giro d’Italia is a three-week Grand Tour. Three weeks on a bike takes a big physiological toll on a body. It not only trims any extra fat off a racer, it begins a catabolistic process. It breaks down muscle in an attempt to find more energy to move the body on the bike. This is a difficult from which a racer has only five weeks to recover. As the Giro d’Italia is the most important race for and in Italy, the Tour is the biggest prize in all of stage racing. As a result, a shorter stage race has tremendous advantages for teams and racers whose ultimate goals are Tour wins. So the best sprinter in the world not from the Isle of Man, Peter Sagan, will be back in California this weekend. The Boulder-based Garmin-Sharp team has the honor of defending Giro champion, and some of the Americans are in Italy to help with that defense, Dave Zabriskie, Garmin’s time trial specialist, will lead a strong team in California. Even Belgian hero Tom Boonen had planned to hone his sprinting skills in California before his crash at the Tour of Flanders last month. 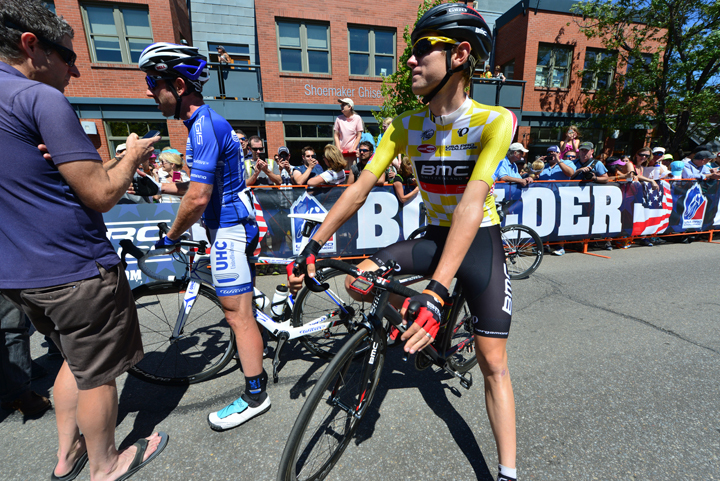 The rise in American cycling will feature prominently again this August here in Colorado. While most Spanish-speaking racers will head to the Vuelta a Espana, most racers with a shot at September’s World Road Championship will skip the Vuelta in favor of the shorter, though still challenging Pro Cycling Challenge. Bad for the Vuelta, already the Grand Tour’s redheaded step-child, good for American cycling fans. Meanwhile at the Corsa Rosa, Katusha’s Italian rider, Luca Paolini, is ensconced in pink. Defending champ, Garmin’s Canadian rider, Ryder Hasjedal, is 34 seconds back, tied on time with Sky’s leader, Bradley Wiggins. The Manx Missile, Mark Cavendish started the Giro with a sprint win in Naples. Team Sky was the overwhelming winner in stage two’s team time trial on the island of Ischia. Surprisingly, it was Sky’s firt TTT win in a grand tour. The win put Sky’s Salvatore Puccio, who also happens to be Italy’s national time trial champion, in the pink leader’s jersey. Hesjedal took off on an attack during stage three, only to be caught and passed by eventual stage winner Paolini. Stage four saw former Giro champion Danilo DiLuca get swamped by the sprinters teams less than 400 yards short of the finish line of the 153-mile stage in Serra San Bruno. Sprinter Enrico Battaglin took the bunch sprint. Paolini kept the rain-soaked pink jersey. Stage five, 126 mostly-flat miles from Cosenza to Matera, was marred by a crash inside the last 1000 meters. Sprinter John Degenkolb of Argo-Shimano avoided the crash and made up a huge gap in just about 100 meters to take his first career win in the Italian tour. Look west this weekend. The Amgen Tour of California will be televised on NBCSports network beginning Sunday. 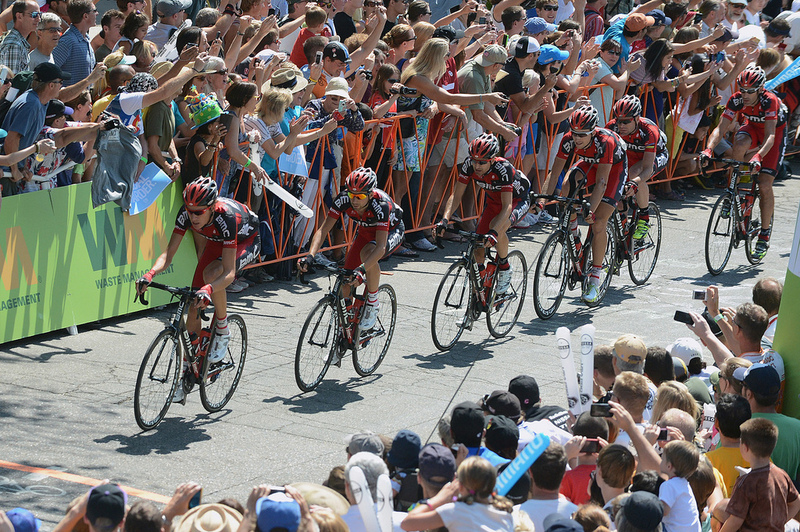 To see the Giro d’Italia, visit Steephill.tv to find a live video feed. In the aftermath of the Lance Armstrong affair coming to light, a laundry list of sponsors have terminated their relationships with the now-disgraced cycling legend. Former teammate Levi Leipheimer was fired from his team, Omega Pharma-Quick Step, seemingly for coming clean. It’s all a terrible mess. I have some suggestions to get over this, if only for a while. The Estes Park High School Mountain Bike Racing Team heads to beautiful Fruita to wrap up their first season. Most of these kids had never owned a mountain bike before this fall, much less raced one. While they aren’t expected to win, they have all made huge strides and shown a lot of courage and character in choosing this life-long sport. In the first race of the season, many of them didn’t finish. Now, as the season draws to a close, they are learning new things about themselves, as well as the sport, that will carry on well beyond their high school years. 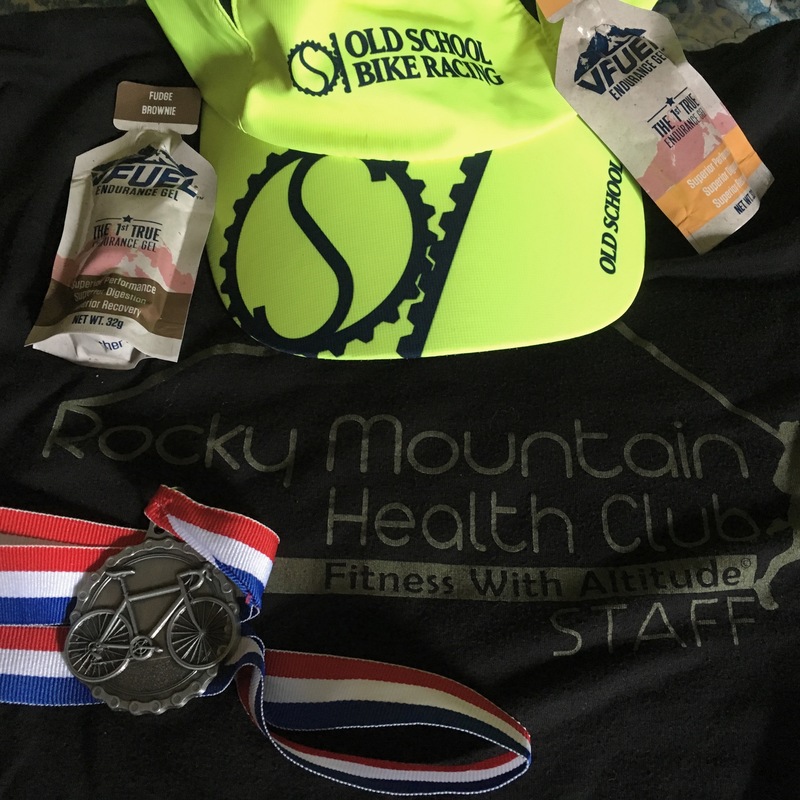 Whether you have a kid on the team, happen to love mountain biking, love the Fruita area, or any combination there of, make the drive to sunny and warm Fruita to cheer on these kids. Then, maybe stop by Over The Edge Sports in Fruita, where you can rent a bike of your own, then head to the Book Cliffs or out to the Kokopelli Trail and have some two-wheeled fun of your own. It would make for a great family weekend. If, like me, you just don’t have the time or gas money to make the drive west, head to Denver on Saturday and take in a bit of bike-geek culture. The annual VeloSwap fills the National Western Complex from 9 to 4. If you need a new bike, some components, clothing or just love people watching, this is a fantastic event. I’ve written about this every year I’ve had the chance, and I get more excited every time. I’ve met Graham Watson, celebrated cycling photographer, at the event. I’ve met Ironman World Champion Chris MacCormac their. I’ve touched David Millar’s Garmin bikes and purchased replica jerseys of Mario Cipollini, Alessandro Petacchi and “Fast” Freddy Rodriguez. I’ve picked up carbon race wheels for $80. I’ve carried out countless pairs of socks and shorts. On at least two occasions, I’ve helped cement a love of bicycle culture for a friend. Industry companies like Rudy Project, VeloNews, MAVIC will chow off their new gear. Area bike shops like Full Cycles, Big Ring Cycles and Sports Garage will have booths to sell off last season’s gear. Small Planet Foods and Larabar will be there. Magazines, massage therapists, various lube and skin care companies and at least one bike insurance firm will all show for the event. Subaru sponsors a shuttle to make getting from your car to the event hall and back with all your new gear easy. If you can, Bike Denver, a cycling advocacy group, encourages attendees to ride to the event. They will have bike parking with security. The Boulder Center for Sports Medicine will hold Computrainer events throughout the day with prizes. Tickets are $8 at the door. Parking is $10, but you can usually make that up in short order once you get inside. You can even bring your old innertubes that clutter your garage. Green Guru collects them to make bags, wallets and purses. Go down and spend the day, or shoot in, find what you need and get out. Which ever you prefer, the drive will be worth it. Have fun, be safe. I’m going swapping. The Estes Park High School mountain bike team got their first taste of competition this weekend. While none surprised the field at the season-opening race, the riders got invaluable experience to carry into the next race. Meanwhile, while things change, they really stay the same in the pro road ranks. Alberto Contador, riding for Saxo Bank-Tinkoff Bank, put together an amazing last week of the Vuelta a Espana to overtake Joaquim Rodriguez and win his first grand tour back from his doping ban. On the podium in Madrid, Contador put up seven fingers, signifying the wins he’d have if not for his disqualifications from the ban. This is Contador’s second victory in his home nation’s grand tour. The race had been an amazing battle between Contador and fellow Spaniard, Rodriguez, who rides for the Russian Katusha squad. For the most of the last ten days of the tour, ramps were painfully steep, but Rodriguez was able to hold off “El Pistolero”. Then, last Wednesday, Contador pounced on a seemingly easy climbing day. Many viewed the attack as a suicide mission, that surely the peloton would catch Contador. Not only did he stay away, he put important, and significant, time in on both Rodriguez and the dangerous and eventual runner-up Alejandro Valverde of Movistar. When the peloton rolled into the Spanish capitol, they were greeted as conquering heroes, Spaniards sweeping the podium. Contador is still credited with wins at the 2007 and 2009 Tours de France, the 2008 Giro d’Italia and Vuelta a Espana. His wins in the 2010 TdF and 2011 Giro were stripped after the doping ban was enforced. The Estes Park High School mountain bike team will have no such worries this season. The fledgling squad traveled to Northrop Colorado on Sunday for their first Colorado Cycling League race. While the earth did not move, the team put in respectable performances. The Chalk Creek Challenge was won by the team from Boulder High School with their arch rival, Fairview, slotting in second in the Division 1 results. The Estes Park team was 12th, with most riders finishing and earning points. Jeremy Norris was the best-placed boy, with 352, riding in the D1 Freshman class. Marin Kingston was the best Ladycat, earning 333 points and placing 37th in the D1/D2 JV class. Lauren Igel earned 305 points for her 17th place among D1/D2 sophomore girls. All five sophomore boys, Zach Brittain, Eric Edwards, Otto Engle, Barney Treadway and Kyle Collins finished their race to accumulate points. Once again, none of this was earth shattering, but the kids are out doing it. I hope they continue riding and racing. The sport is not easy, especially if you’ve never ridden a mountain bike before, like most of the team. I hope fans and parents support the team in its efforts. I also hope they, themselves, see their improvements and appreciate how challenging their chosen path is. I hope they find pride in their efforts and keep pushing themselves. One little gem I can throw in to tie these two stories together; Contado said, after serving the ban he did not feel he deserved, then winning the tour of Spain, “I do not race to shut people’s mouths, I race because it gives me pleasure.” I hope the team finds the pleasure and joy in racing and keeps at it. Be safe, have fun. I’m going riding.